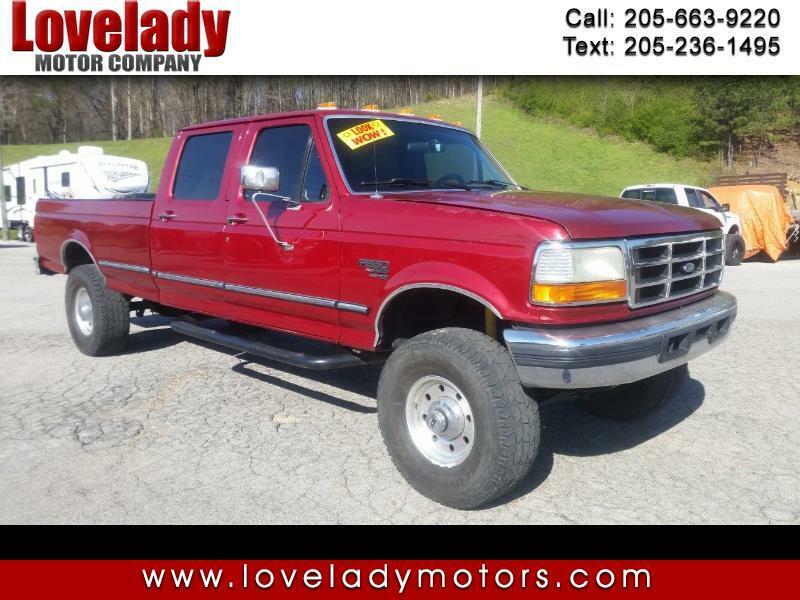 Used 1997 Ford F-350 XL Crew Cab 4WD for Sale in Pelham AL 35124 Lovelady Motor Company, Inc.
That's right! This Ford F-350 crew cab is equipped with the legendary and highly sought-after 7.3 turbo diesel and four-wheel drive. This rig is known by truck enthusiasts to be able to go the distance... and this one has not even hit half a million miles yet. It is barely broken in! This strong power plant is still ready to pull anything you hook it up to and not break a sweat doing it. The automatic transmission shifts smoothly with no drama. This big truck has stance and attitude, sitting on a lift kit and set up with a solid front axle. These trucks are hunted down by people who know the virtue of this drivetrain and are becoming increasingly difficult to source. If you are looking for a solid hauling vehicle, a work truck, something for around the farm or a great starting point to begin a high-profile diesel build this is a great place to start. Call 1 888 4 x 4 Outlet and ask for Stephen or Keith for more information. Thanks for looking!